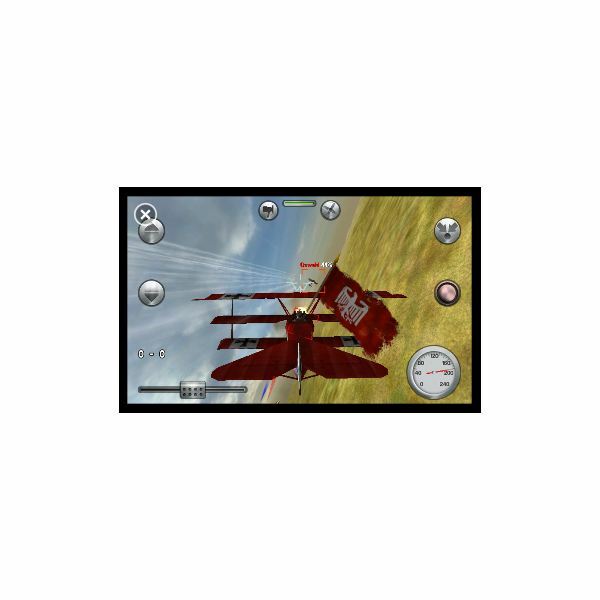 Many new games have been released for Windows Phone 7 that take advantage of the integration with Xbox LIVE, and among these one of the most popular is Rise of Glory, an exclusive World War I flight sim. Available from the Windows Phone 7 Marketplace on the handset, or the Zune store on your desktop, this game features some great graphics, arcade style combat and evokes the lifestyle of the “twenty-minuter”, the name given to pilots of the Royal Air Corps during the First World War on account of that being the average lifespan of these pioneer combat pilots. 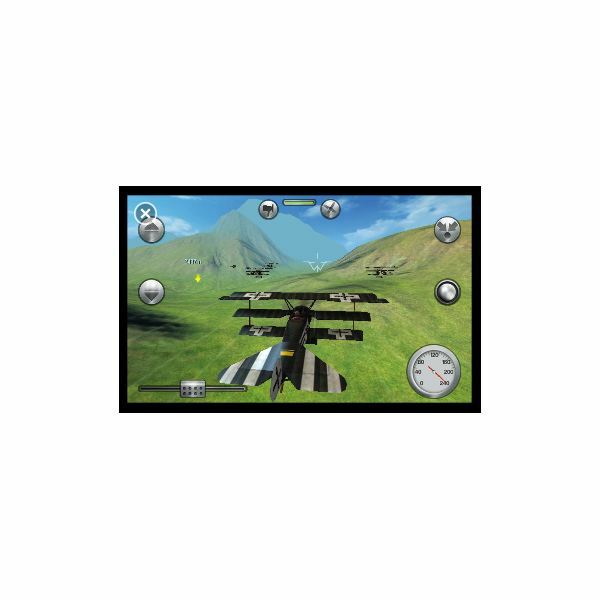 Although promoted as a simulator, Rise of Glory has little in common with real flight sims and is more closely related to the arcade style of flying. The planes simply refuse to stall and the guns never lock up – more to the point, it is fast and furious fun, with over 800G in achievements available for your Gamerscore and a good selection of alternative period aircraft models to choose from. There are two play modes, campaign (which features variations on the basic combat theme) and quick match, and control is by means of the device accelerometer. In addition to this there are two buttons for pitching your plane up and down, a slider for left and right control of the tailplane, a cockpit view and of course the fire button. It is pretty easy to find yourself in a seemingly eternal roll through the heavens – should this happen, placing the phone flat to level things out again is the best way of recovering. Sound effects for Rise of Glory are minimal – we’re basically talking about propeller sound, slide variations of this for pitching and diving, and gun shots. They do the job but there is little here that is revolutionary. The graphics, on the other hand, are more impressive, with a good impression of speed and flight evoked. It is also clear when you’re being shot at too, as white lines fly past your head, and when a direct hit is received you will see the bullet holes! Available for £2.49, Rise of Glory is one of the more affordable Xbox LIVE games available for Windows Phone 7. Many owners of these new phones have felt a bit ripped-off over recent months if the app ratings are anything to go by, with titles like The Sims 3 and Guitar Hero retailing at over £5, more than equivalent titles on the iPhone and iPad. Given the relative infancy of Windows Phone 7, it does seem an odd decision – particularly in the current economic climate – to offer prices at this level. Rise of Glory has been tested here on a HTC HD7 handset, and the game seems to run without any problem. There doesn’t seem to be any reported compatibility issues with other Windows Phone 7 handsets, so this is a positive aspect. Rise of Glory isn’t the best Windows Phone 7 game, nor is it the most enjoyable. What it is, though, is one of the most interesting of the Xbox LIVE releases, offering very different gameplay to the deluge of hack and slash adventure games and a level of quality that certain other games (namely those from million-selling franchises) can only aspire to. Additionally, for a relatively low cost game with some achievable Gamerscore points, Rise of Glory is one you should definitely try.